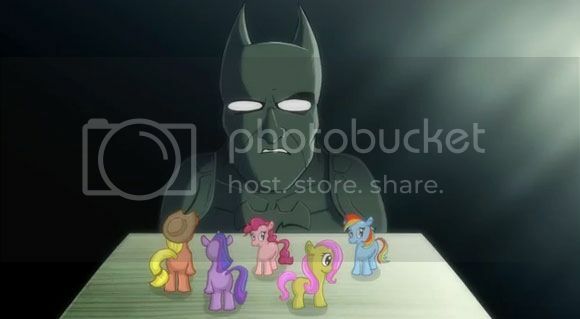 We have to give it to Batman to actually rid the world of Grown Men who actually collect "My Little Pony" collectibles. I don't even know why the heck anyone would want to have a cute colorful little pony doll around the house. Why not just go for something more masculine like collecting Barbie Dolls. At least you can tell people you like how Barbie looks, if that's you weird kind of thing. Anyways, the animated short after the break will entertain you for about 2 minutes of your boring life. Enjoy.